Grass is extremely durable. It can last for decades when properly cared for. But grass can also start to die out. It can get sick, it can be invaded, and it can be destroyed. 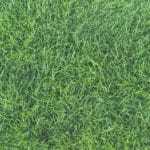 Improper care, different types of grass – there are plenty of reasons for turf replacement, and being aware of these reasons is crucial for ensuring that you’re replacing your turf quickly when needed to get the green lawn you’ve always wanted. 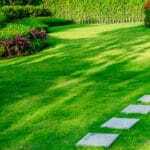 Dirt Spots – When you have dirt spots in your yard that have no grass, it may be time to replace your grass altogether. Yes, you can reseed your lawn very easily, and it may grow back to normal. But if there are too many dirt spots, replacing the lawn with a turf that you like more is often a good idea. Significant Lawn Disease – The presence of lawn disease can be a bad sign for your lawn, especially if the problem is significant. Some lawn diseases cannot be cured. While lawn disease is preventable, the more there is the harder it is to fully cure. Abundance of Weeds – Weeds mean that there are too many weak spots in lawns. Some of those weak spots are caused simply by poor care. But the more weeds take over, the weaker your grass will be (and the weaker it already is). Replacing turf with denser turf can choke out weeds and prevent them from coming back. Trouble With the Grass – If you moved into a new place, you may need your turf replaced for a simple reason – you don’t like it. 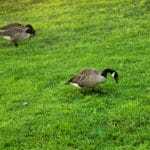 Assuming you’ve already tried proper maintenance strategies, there are dozens of different types of grass out there, and finding one that you love can help you enjoy your landscape more. Poor Drainage – Finally, poorly draining turf isn’t necessarily a sign your lawn needs to be completely replaced, but it is a sign that you need aeration, and after aeration you need to add new grass to your landscape. Aeration pokes holes in the lawn that loosens the soil helping water drain better and roots grow deeper. Every once in a while it’s a good idea to replace unhealthy turf. But whether you replace it completely, aerate and reseed, or simply try to get your lawn healthy again, Green Lawn Fertilizing has all of the tools and expertise necessary to ensure that your lawn looks perfect all throughout the year.